Recover your deleted files from hard disk ,flash drive and memory card by using free Pc Inspector file recovery .Download it and try it now ,it's free . 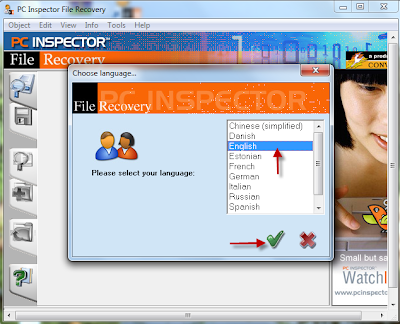 Pc inspector file recovery software is one of the most strongest recovery software .Pc inspector support Fat , fat 32 and NTFS file systems .The new advantages of pc inspector is finding pc partitions automatically even if your boot sector or file system is totally damaged .Pc inspector can recover your deleted files with all original details such as time and date .You can recover your deleted files and save it in anywhere even if network drive !. Pc inspector file recovery features support many formats such as ARJ, AVI, BMP, CDR, DOC, DXF, DBF, XLS, EXE, GIF, HLP, HTML, HTM, JPG, LZH, MID, MOV, MP3, PDF, PNG, RTF, TAR, TIF, WAV, and ZIP. How to install pc inspector and how to recover files with pc inspector ? Please read this article , i explain it in special article . Your post is good but you didn’t describe your post briefly like is It work with all types of files etc.? 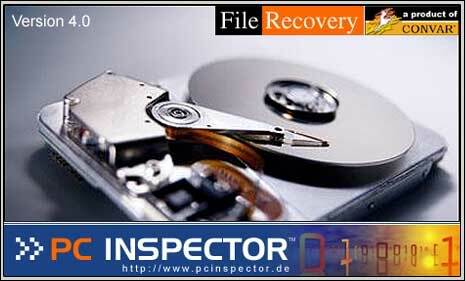 Data recovery process is interlinked: approach should be different with every device. This is because no two devices, even when two of the same, can suffer the exact same damages. Moreover different devices will require the use of different techniques of data recovery due to their variant storage mechanisms: hard drives will for example require the recovery of the disk, yet devices such as USBs will require the removal of the chip, which must be entered into a specialized piece of machinery for data recovery.